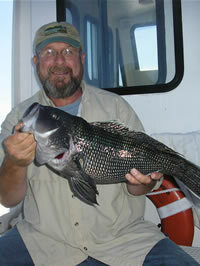 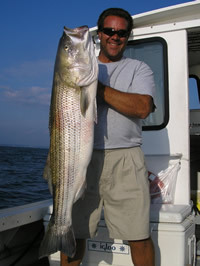 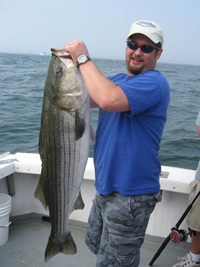 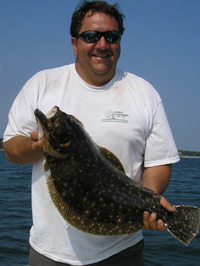 Connecticut Charter Fishing: Deep Sea Fishing, Inshore Fishing, New London. 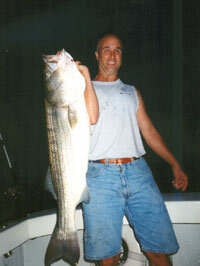 with a nice Striper caught in the Race. 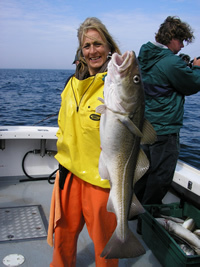 with a nice spring cod caught on Stellwagen Bank.